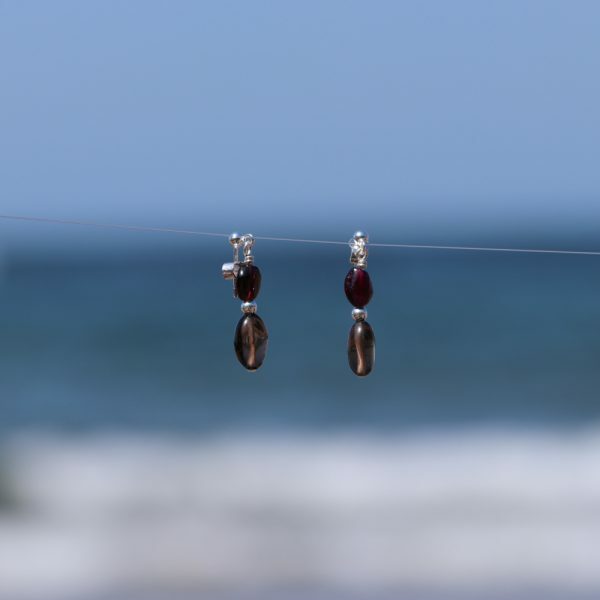 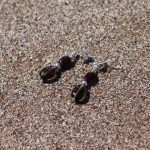 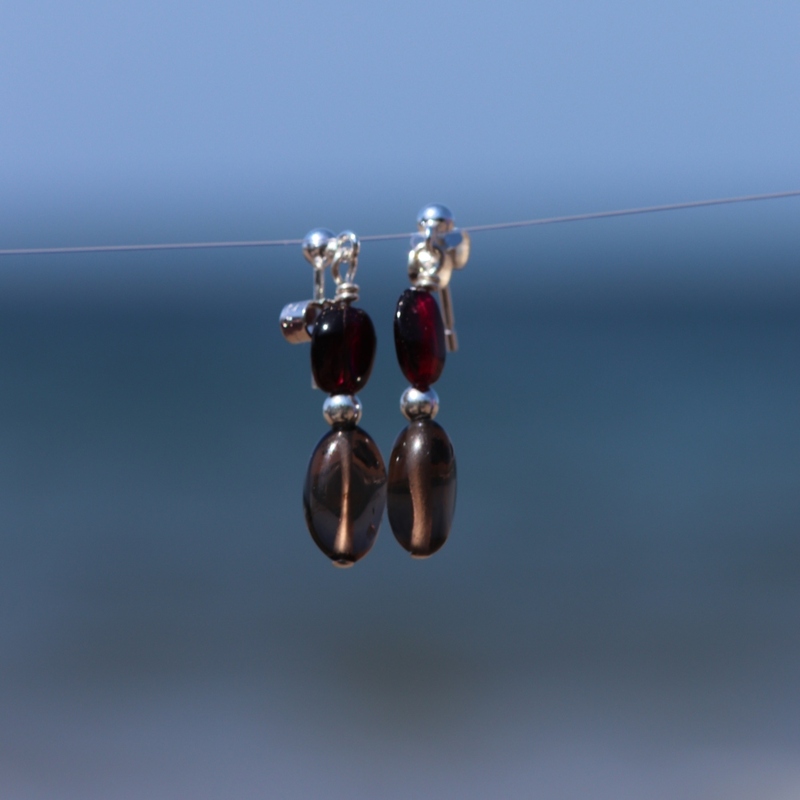 Drops of Smoky Quartz and blood red Garnet dangling from a 925 Sterling Silver earring post. 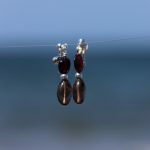 Smoky Quartz is the National Gem of Scotland and has been considered a sacred stone here for a long time, a belief dating back to the Druids. 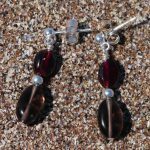 Here it is combined with Garnet, a mineral widely found in Scotland, which has also been collected and cut into gemstones. 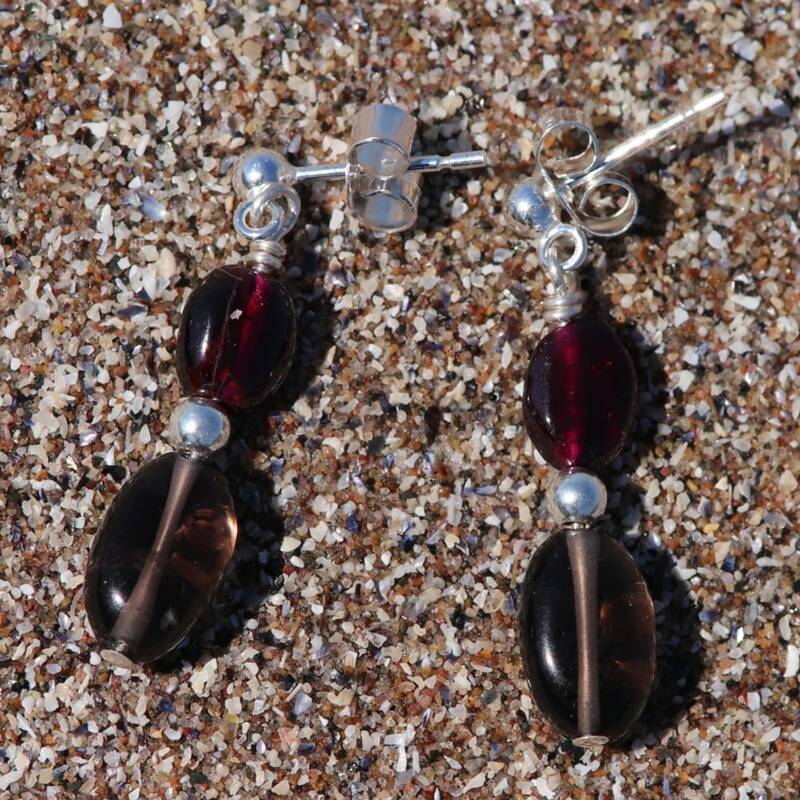 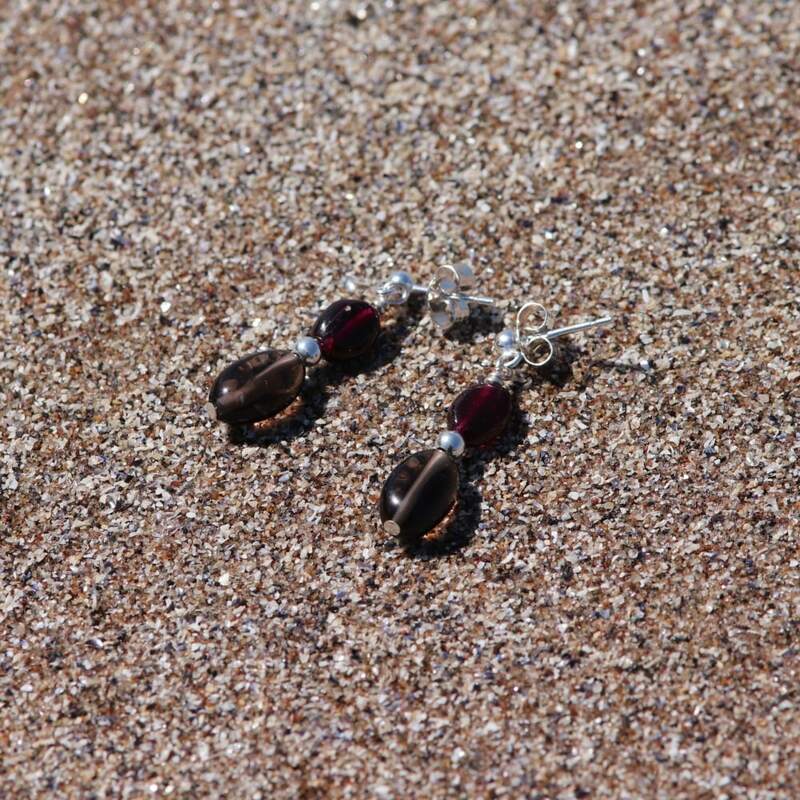 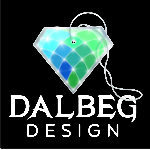 Famous examples are the so-called “Elie Rubies” collected from the beach at Elie in Fife.